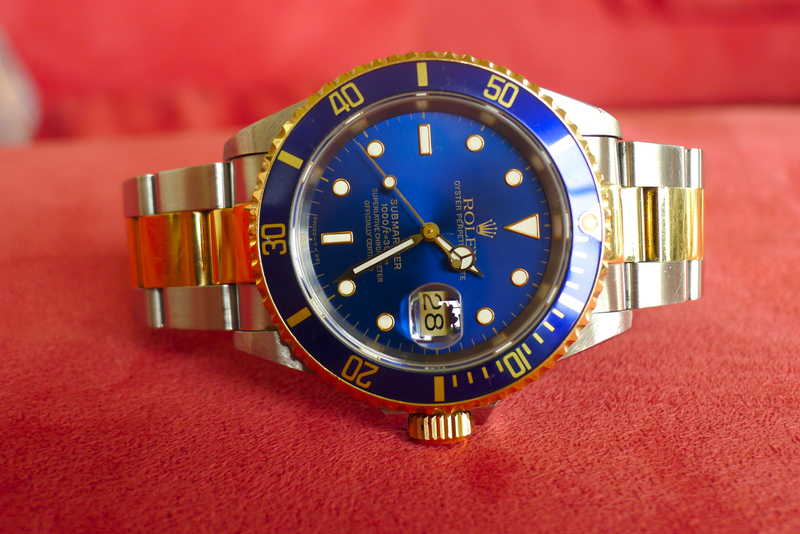 A small post just to acknowledge my admiration towards what was one of the most sought after models in the Rolex line-up… The 16613. This one is a mid 90’s example and I never had it polished so it’s natural that you’ll notice some light scratches in the photos. 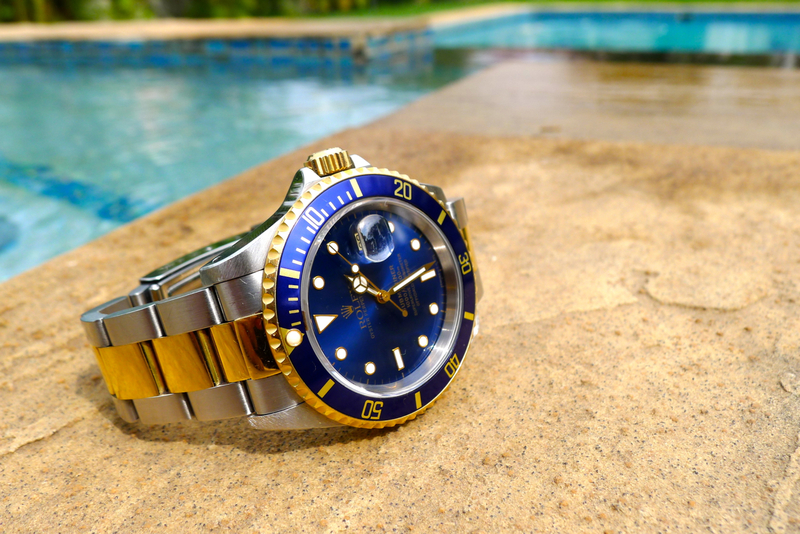 It is still a Tritium dial which means that nowadays the lume in it is basically non-existent, but the color remained absolutely even and creamy, going beautifully with the blue and gold. 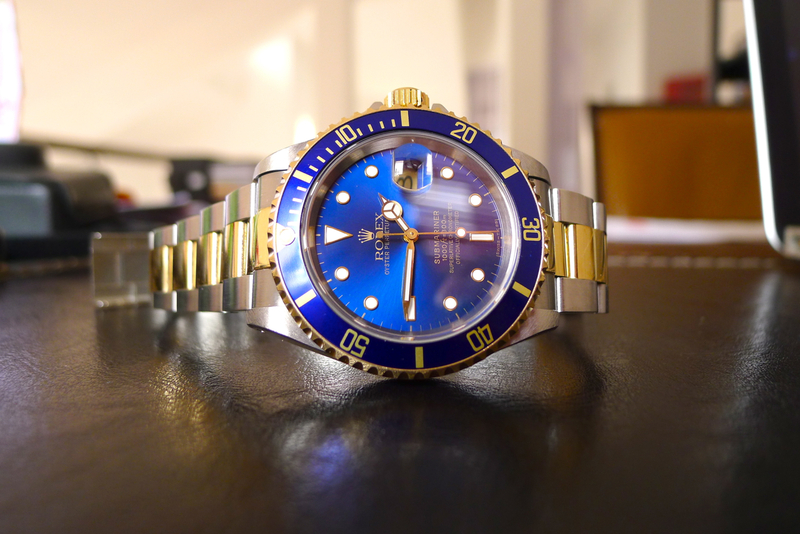 One of the most interesting aspects of this model is the lovely blue dial with its sun burst effect, it is remarkable the way it changes shades in accordance to the light. 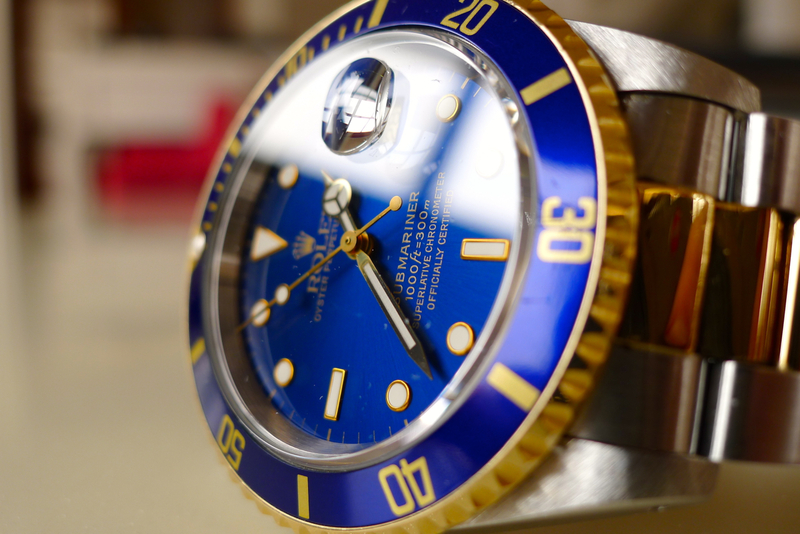 One can literally get mesmerized by the depth of the blue in this dial! 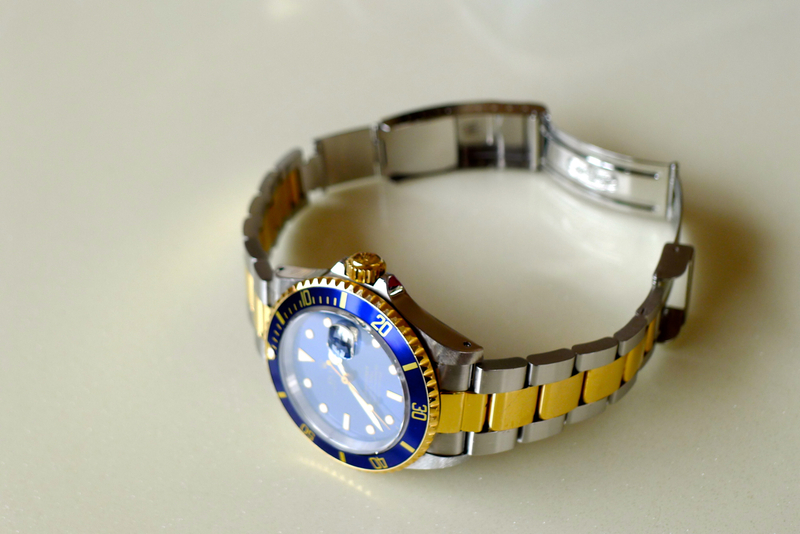 I wasn’t and still am not much of a gold watch person… Not even a steel/gold person. 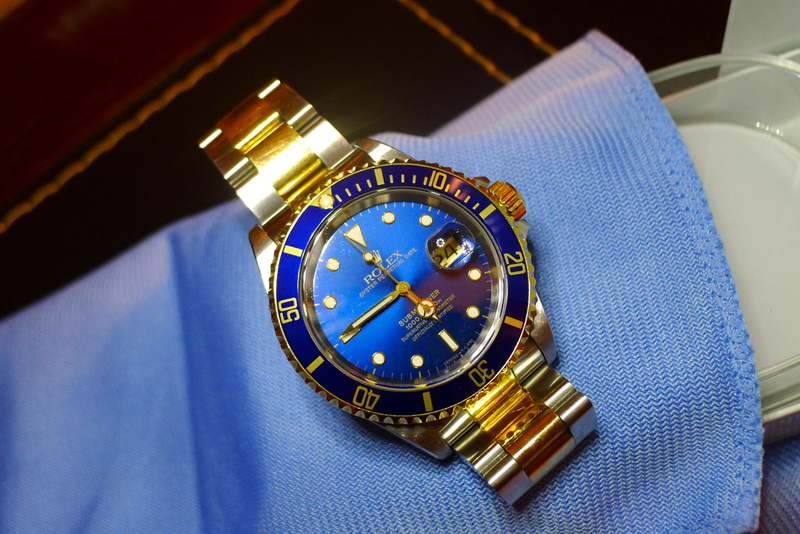 This was an exception but the fact is that I got completely taken by the result of the combination of colors and materials that Rolex managed to pull out with this piece. 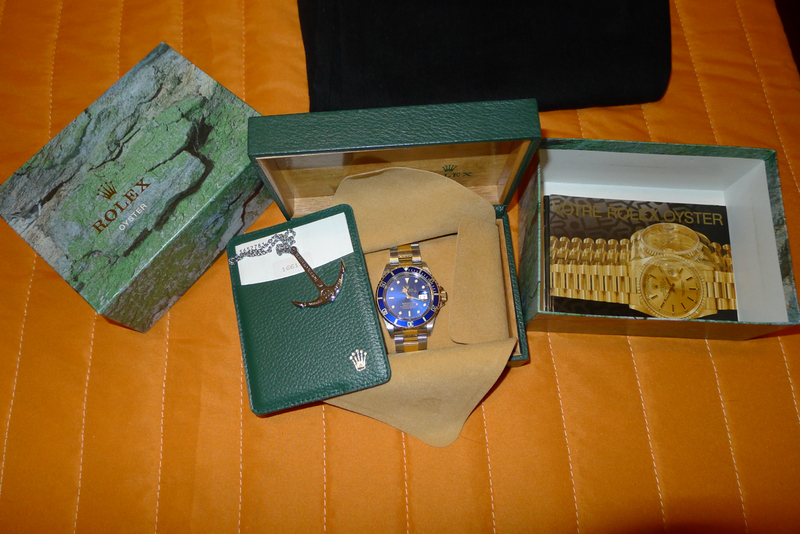 It still had the green sticker with the model number in the back and it sports the very nice diving extension. 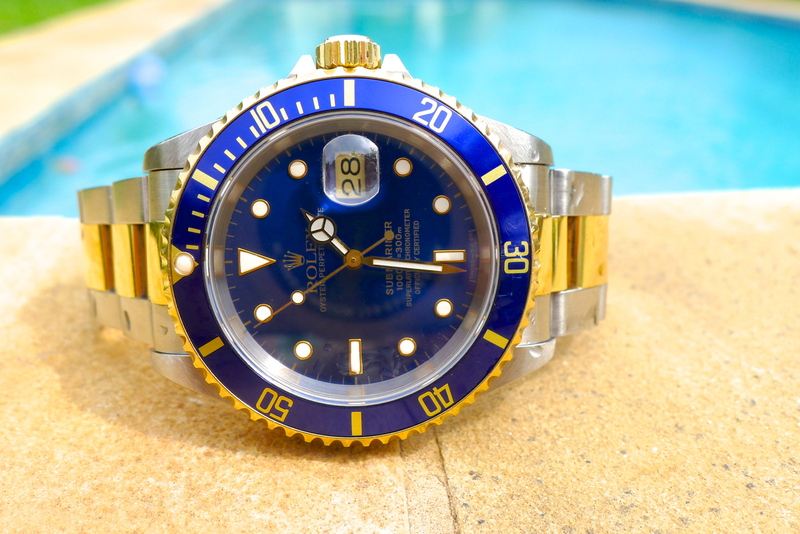 The latest iteration of the Submariner Steel/Gold now called 116613 has a fantastic ceramic bezel and all the newer improvements in the movement and case / bracelet but unfortunately lost the hypnotic dial color… I recently read that, probably due to constant requests, Rolex is working on a 116613 with the same dial color as the 16613 – I sincerely hope so. So, here’s the 16613, an exquisite watch, launched in the late eighties but that still feels very contemporary in the way it looks. 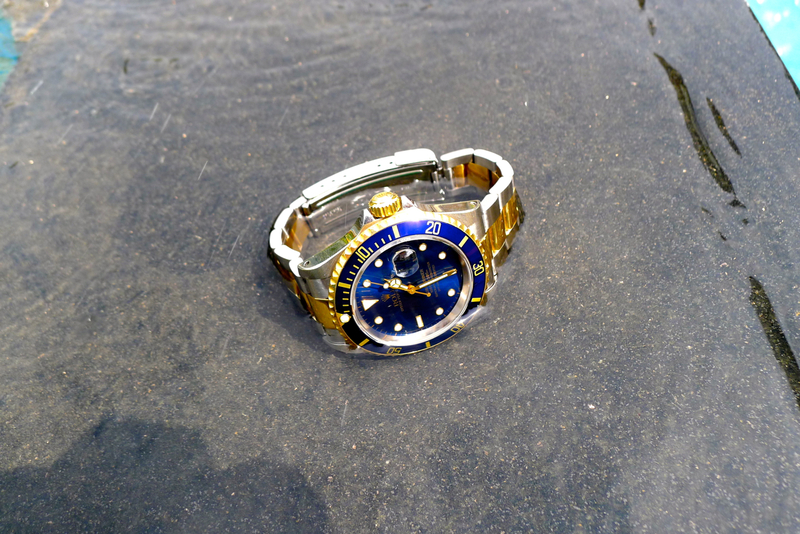 Being as it is a real tool watch despite the inclusion of gold, this Submariner can be worn as well in a diving expedition as it can with a suit to office or a tuxedo for a party. 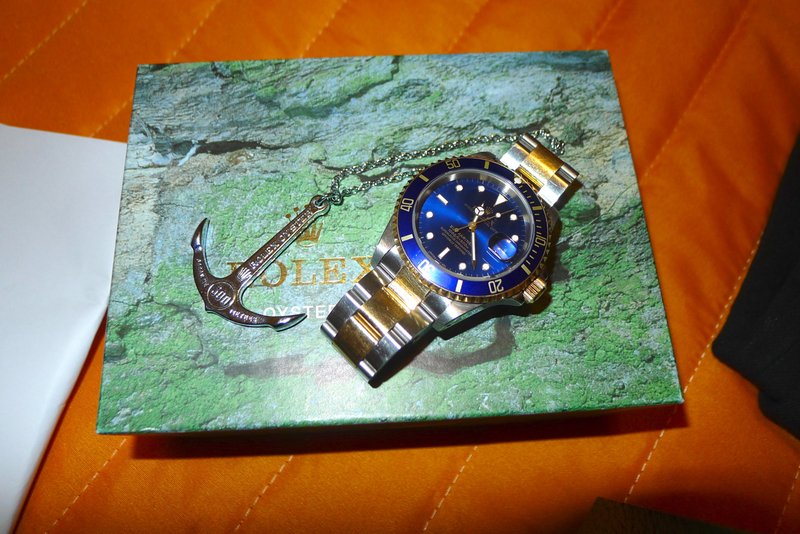 A real testament to Rolex’s ingenuity. 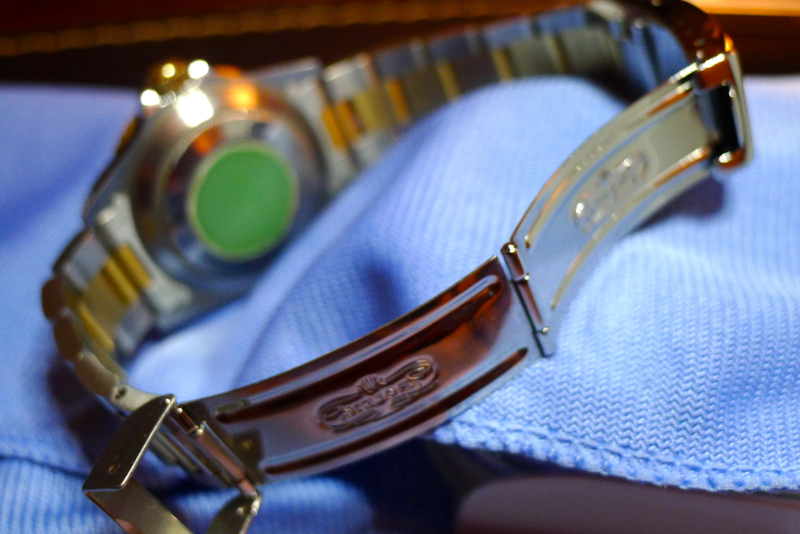 As always, I hope you enjoyed my impressions on this watch and please feel free to agree / disagree or comment.